Whether you are an experienced professional wanting a qualification to progress in your career or an entrepreneur ready to transform your ideas into reality, join us for our exclusive EMBA On-the-Spot Admission Day to know how S P Jain’s Executive MBA (EMBA) can accelerate your career. Our team will introduce you to the flexible format of the EMBA program, the admission process and our unique Executive Career Acceleration Program (ECAP), an S P Jain initiative that supports our EMBA graduates in their career growth and development. You will also get an opportunity to participate in a Q&A session, connect with our alumni to gain from their personal experience and network with your peers from diverse industries. S P Jain School of Global Management is a leading Australian business school known for its disruptive innovation in business education. The School has campuses in the vibrant cities of Dubai, Mumbai, Singapore and Sydney and is renowned for running its global business programs across these cities. 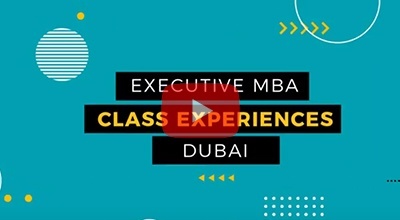 For its flagship Global MBA program, the School has been ranked by reputed international publications such as Forbes, Times Higher Education-Wall Street Journal, Nielsen, Global Brands, Financial Times and The Economist. Globally intelligent and culturally agile, an S P Jain student is empowered with the skills and confidence to drive decisions and take on the global challenges of the 21st century. Permitted by the Knowledge and Human Development Authority. The academic qualifications granted by this institution and certified by KHDA shall be recognised in the Emirate of Dubai by all public and private entities for all purposes.